During the week of April 8, 2008, “Welcome to the Dollhouse” by Danity Kane was on the top of the Billboard 200. This week 10 years ago, sports drama “Leatherheads” (starring George Clooney and Renee Zellweger) was rocking the box office. 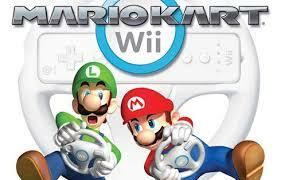 “Mario Kart Wii” and “Assassin’s Creed” for the PC were popular in the world of gaming during this time ten years ago.